If you started with a blank page to create the ultimate diving watch, what would you shortlist as your key features? 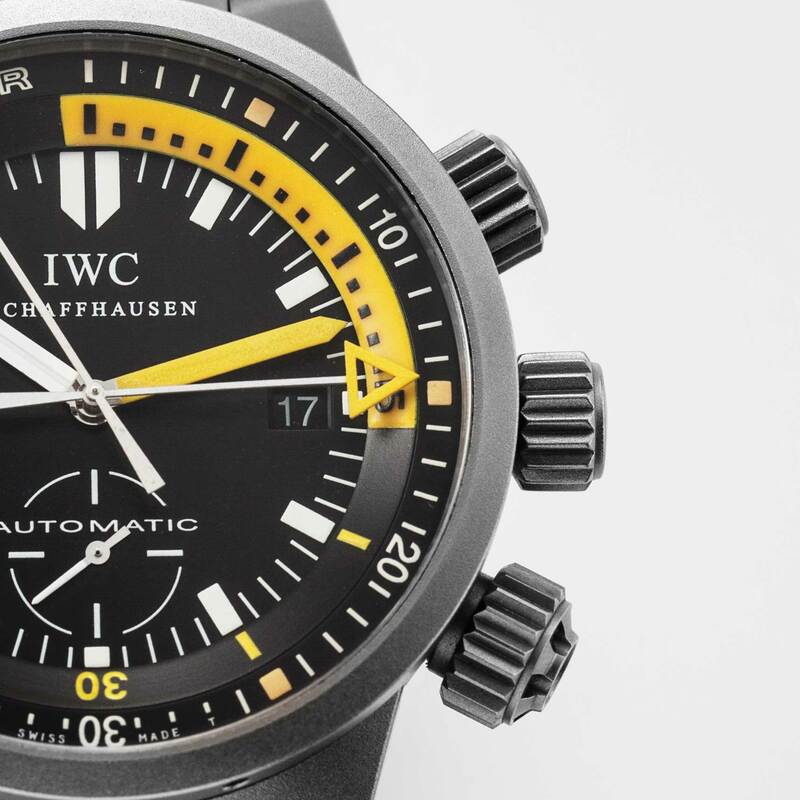 This was the question that Richard Habring, who was an IWC engineer at that point in time, asked himself while sitting on the deck of a dive boat during his holiday. Then, after consulting with dive masters as to what would comprise the ultimate submersible wrist instrument, an idea coalesced in his mind: it would have to be made from titanium because it is totally anti-corrosive with a strength-to-weight ratio that is off the charts. 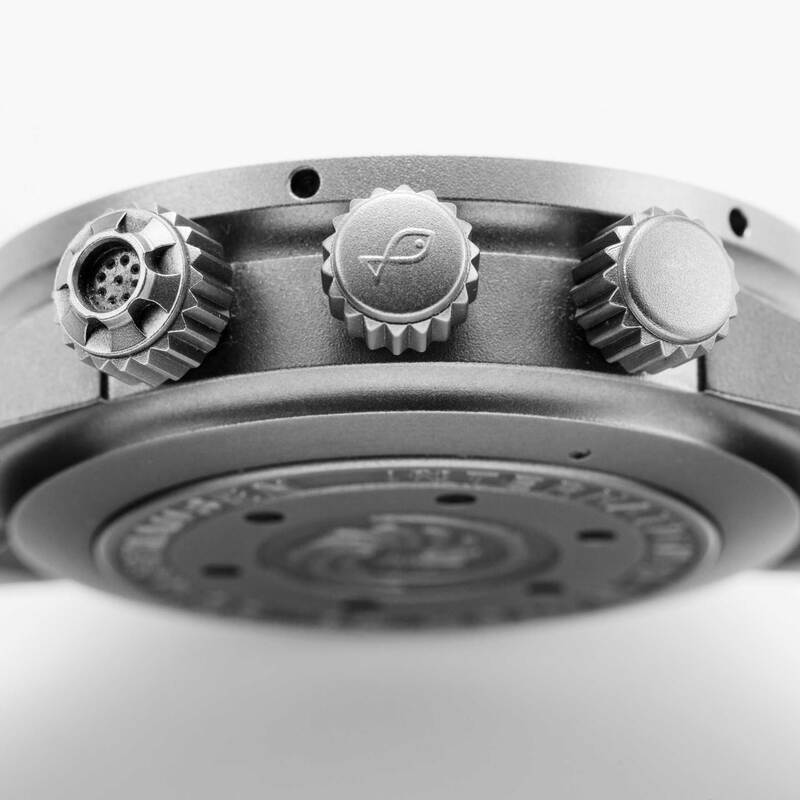 The watch would have an internal rotating bezel for the ultimate security in recording elapsed dive time. It would also feature a depth gauge, so that if your dive computer failed, you could use that as a vital backup tool. In short, in an emergency situation, it would be perfectly equipped to save your life. The next thing he established was that the watch would have to be 100-percent mechanical, in deference to IWC’s history in mechanical timepieces. A purely mechanical watch means that it would be dependable in a way that an electric watch simply can’t. If well maintained, it would function in perpetuity, while an electronic watch would need to have its battery changed regularly. But beyond this, a purely mechanical watch would never be a slave to the almost engineered obsolescence present in all electronic devices. Such is the nature of the binary beast that in a few years’ time, as with mobile phones, computers and now digital cameras, it is guaranteed that superior technology will replace it. A mechanical watch, even one with a depth gauge, could always be repaired by a skilled watchmaker. 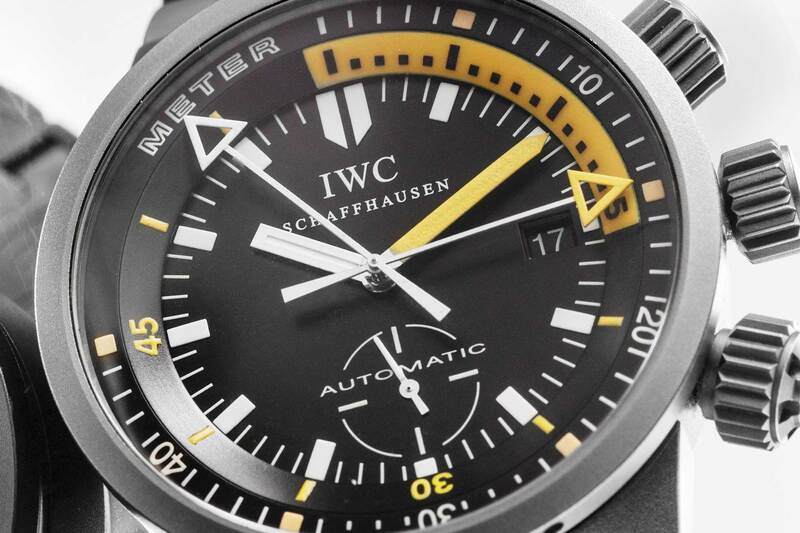 With these features in mind, IWC set out to go where none had dared. How did it create a mechanical depth gauge for this ultimate dive machine? It looked to one of the most proven techniques of measuring pressure. To understand how the IWC Deep One works, we need to go back to the Industrial Revolution. The era of steam engines allowed major advancements in travel via locomotive, and industrial manufacturing. But steam engines could also be dangerous if pressure was not regulated using blow off valves. As pressure increased, it approached a threshold between efficient energy production and explosive danger. To accurately gauge this threshold, engineers turned to a device called the Bourdon Tube, invented in 1849 by a French scientist and watchmaker named Eugène Bourdon, which is capable of measuring pressure up to 100,000 pounds per square inch. The principle behind the Bourdon Tube is simple: a closed metal tube acts as a pressure-sensing element. The tube is coupled to a pressure source, and once pressure enters, it causes the tube to straighten. Conversely, less pressure causes the tube to coil. This motion is then transmitted via a special linkage system to a hand that indicates pressure on the face of the gauge. Several of the components in this linkage come straight out of a watchmaking textbook, including a toothed rack system, not unlike that in perpetual calendars, and retrograde watches, proving that Bourdon’s joint expertise in science and watchmaking made him uniquely suited to transfer technology from one discipline to another. The inside of a Vintage Bourdon Tube device. Pressure enters (A) and causes the tube (C) to deform/straighten. 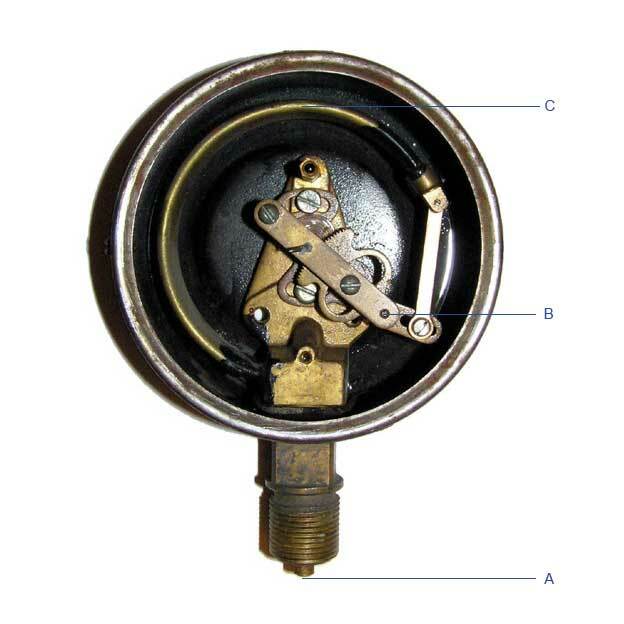 This creates tension on the linkage (B), which causes the pressure gauge hand on the dial-side to react. As man began to explore the seas, he discovered that the Bourdon Tube device allowed him to accurately read water pressure at different depths. A Bourdon Tube depth gauge works in exactly the same way as a Bourdon Tube pressure gauge. In the depth gauge, instead of pressurized gas, water is allowed to enter the sealed tube. At greater depths, when water pressure is higher, the Bourdon Tube straightens, placing greater tension on the linkage system — causing the hand on the depth gauge to rise higher. 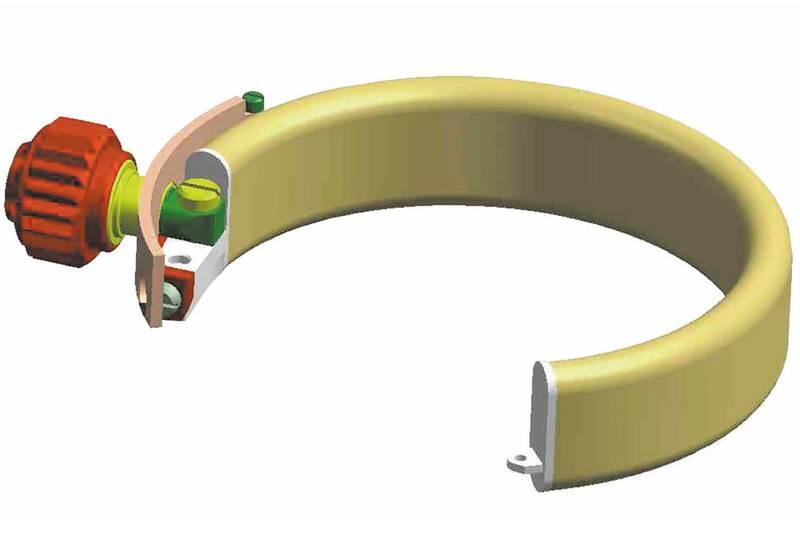 In shallower water where water pressure is lower, the tube coils tighter, releasing tension on the gauge’s hand, causing it to return towards zero. Now that they had identified the technology on which to base their mechanical depth gauge, the challenge was to miniaturize the Bourdon Tube into a relatively flat watch just 44 mm in diameter. 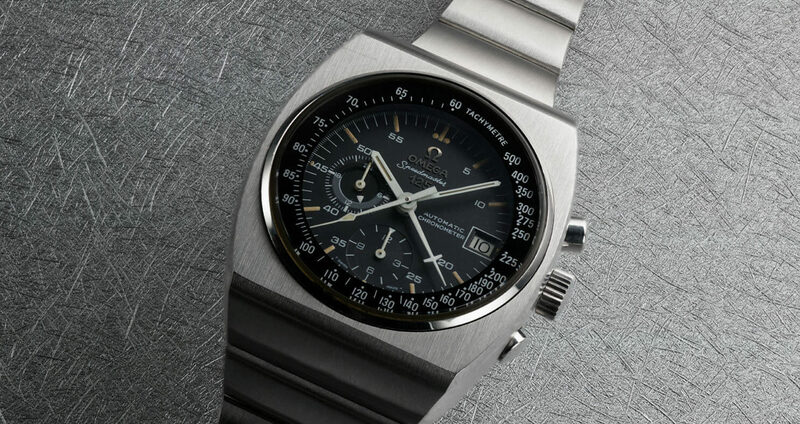 For starters, Jaeger-LeCoultre’s ultra-flat automatic caliber 891 was selected to drive the timekeeping function. At that time, both manufactures were headed by the same person — the legendary Günter Blümlein. As such, sharing of calibers and technology was common. The remaining work focused on building a super-accurate yet tiny Bourdon Tube. When it was released, the Deep One was a revelation. It was a space age-looking, true super-computer for the wrist, achieved entirely through artisanal watchmaking techniques. 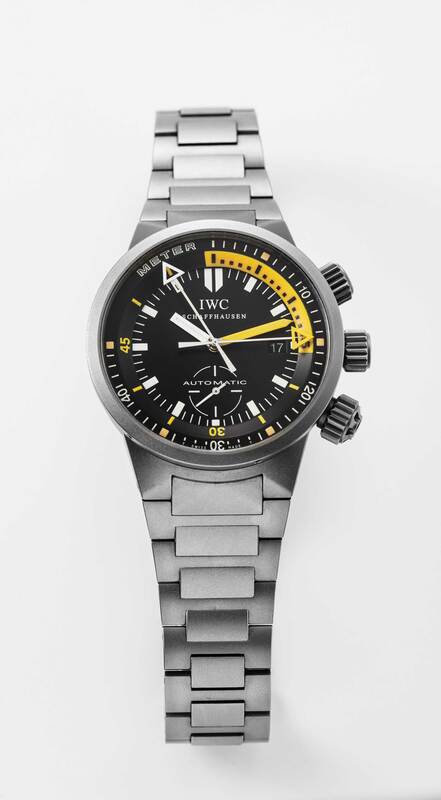 By 1982, IWC had already achieved a staggering water resistance rating of up to 2,000 meters with its Ocean 2000 titanium dive watch. Even more impressive was that this watch achieved the rating without the use of a helium release valve, as was found on the next deepest rated watch of the time, the Rolex Sea Dweller. In fact, the 100-meters depth rating of the Deep One was stipulated in order to protect the sensitive depth gauge mechanism. The logic is simple: the Deep One uses an open-element Bourdon Tube device to measure water pressure. The more water pressure exerted on it, the greater it deforms. 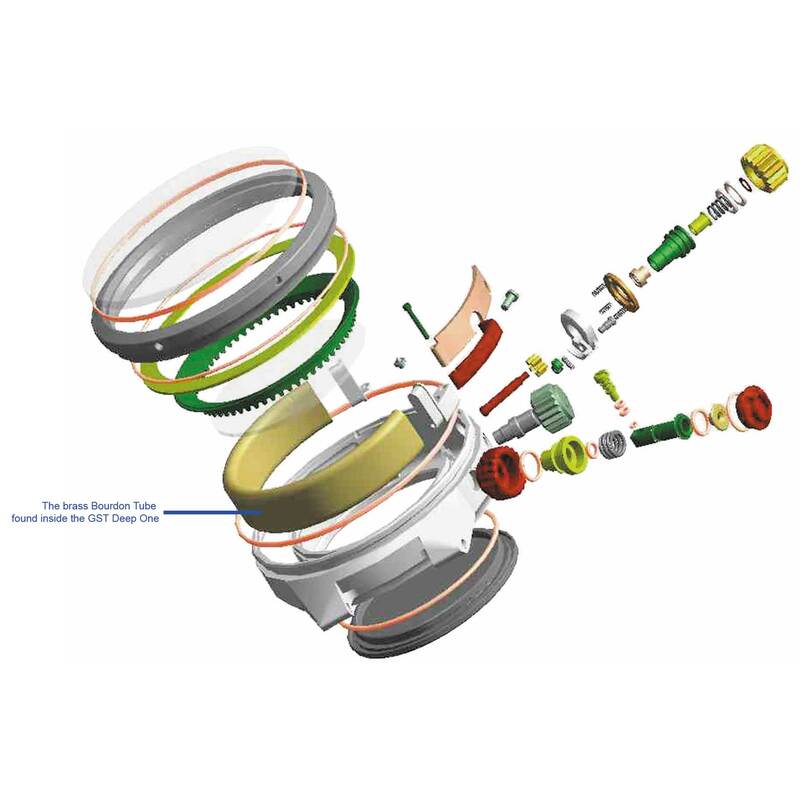 But if you look at the diagram of how the Bourdon Tube is placed inside the watchcase, you can see that space is tight. As such, there are limits to how much the Bourdon Tube can alter its geometry. 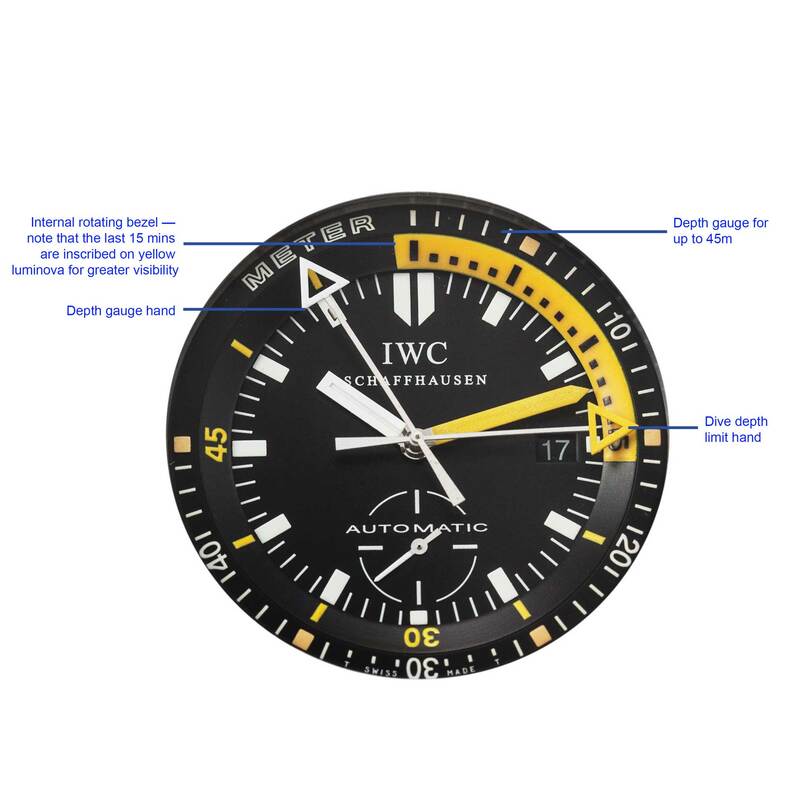 But there is yet another reason that IWC capped the depth measured by the Deep One to 45 meters: Bourdon Tube depth gauges are most accurate in depths of 40 meters or less. 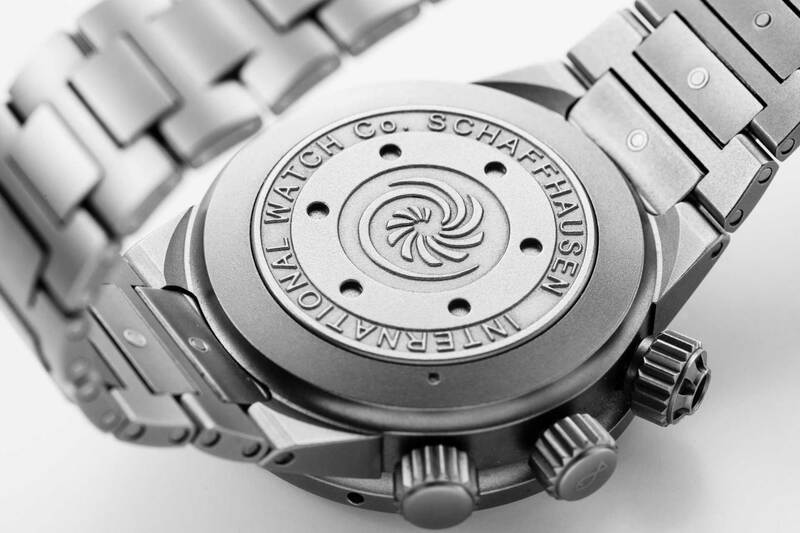 The watch comes equipped with an air pump that is easily attached to the valve through which water enters. Before each dive, you use the pump to fill the Bourdon Tube with air, to ensure that the gauge is good to go. Just before submerging, you set the internal rotating bezel to mesh with your minute hand to show elapsed dive time. The depth gauge is made up of two overlaid hands in a configuration similar to the hands of a split seconds chronograph. As you descend into the sea, the hands will move together, providing you with a reading of your depth on the perimeter of the dial. Once you reach the deepest depth of your dive, the yellow deepest depth hand will remain in place, even after you resurface. To reset this, you simply press the same crown used to set the internal rotating bezel. An interesting question is that of how varying altitudes could be compensated for in the Deep One. 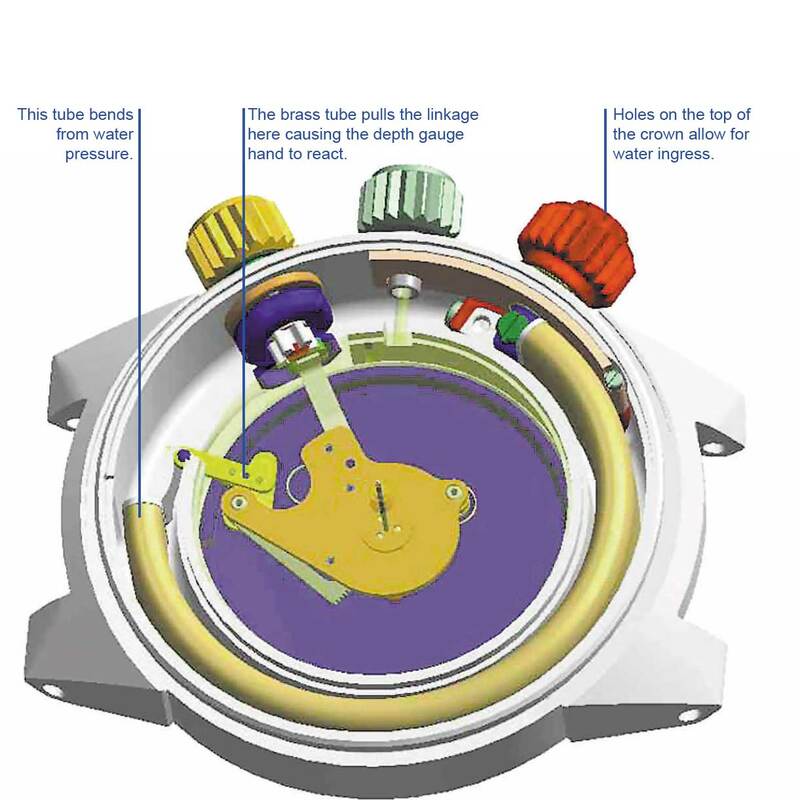 As air pressure at sea level is greater than air pressure at higher altitudes, this will have an effect on the Bourdon Tube device in the watch. To compensate for these changes in altitude, the depth gauge hand can be manually zeroed using the crown at four o’clock, which is integrated into the valve for the Bourdon Tube. 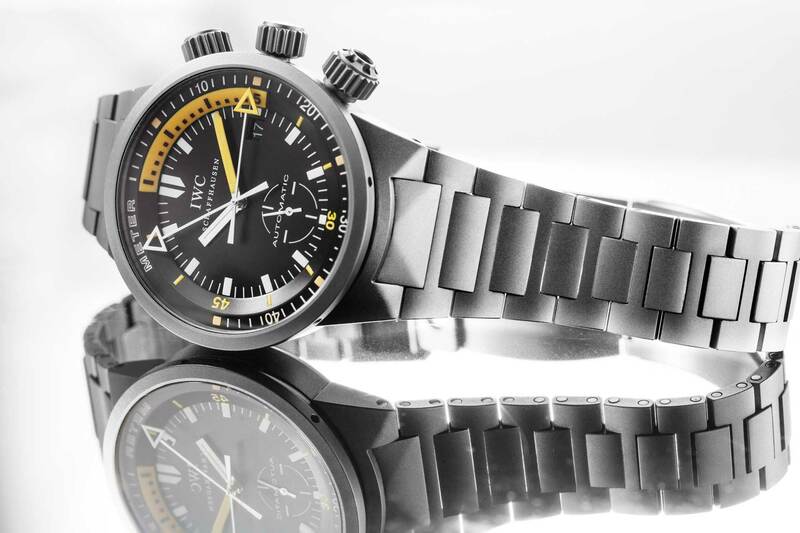 Launched in 1999, the titanium-cased Deep One rippled with innovations beyond the depth gauge, including a rotating internal bezel activated by an additional crown at nine o’clock. In watches with external rotating bezels — despite the fact that these bezels are uni-directional — a hard blow, or accidental contact with a reef, can cause the bezel to rotate on its own. 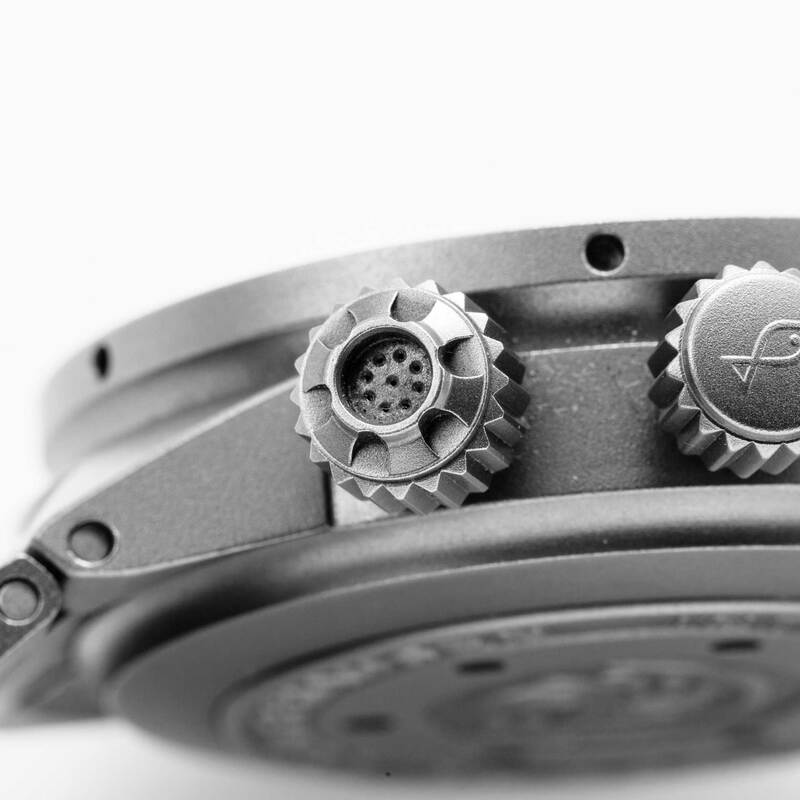 However, with an inner rotating bezel, the crown controlling rotation is tucked out of the way. Beyond this, IWC arrived at a brilliant system: once the watch is submerged beyond several meters, the water pressure acts on the crown that controls the inner rotating bezel, so that it becomes deactivated. Turning it underwater will have no effect on the preset timing on the bezel. When you return to the surface, the crown is automatically unlocked and you can once again turn it. This single innovation, though rarely talked about, represents a vast measure of safety built into the ultimate dive watch. 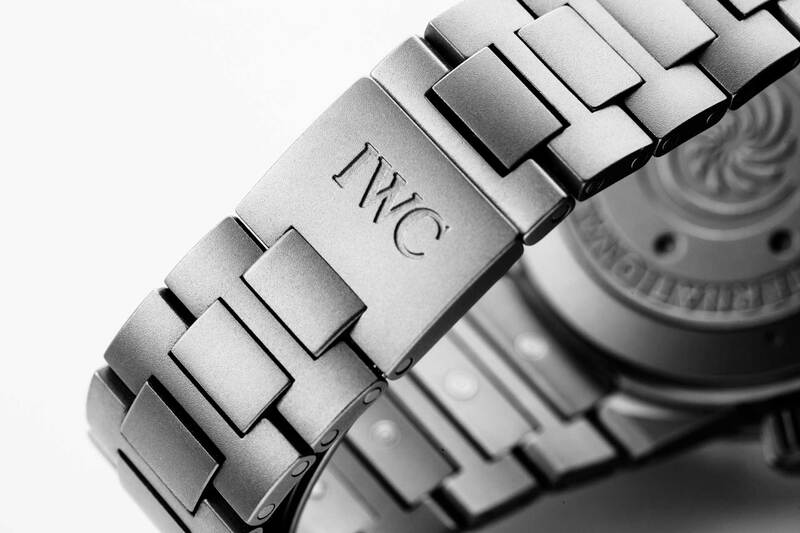 Today, this feature is also found in all contemporary IWC Aquatimer watches, which also feature internal rotating bezels.